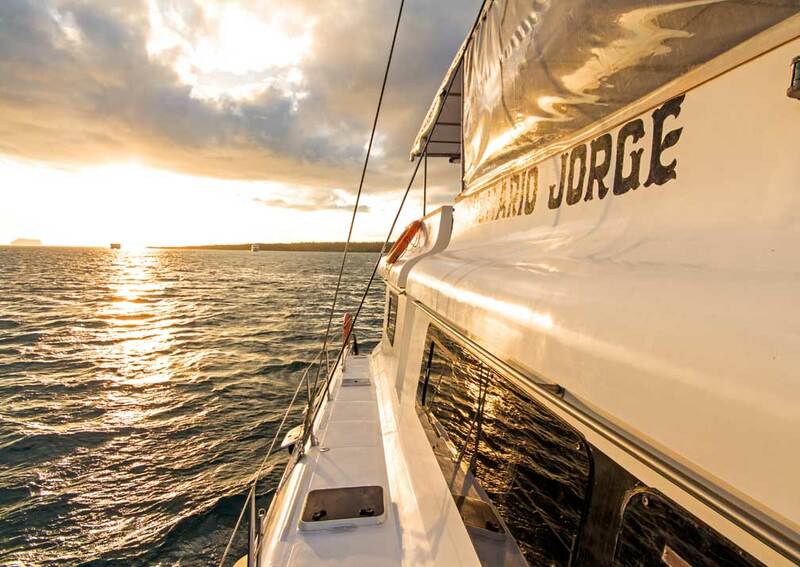 A 16-passenger catamaran offering opportunities for diving as well as island visits, with a lovely covered dining deck. 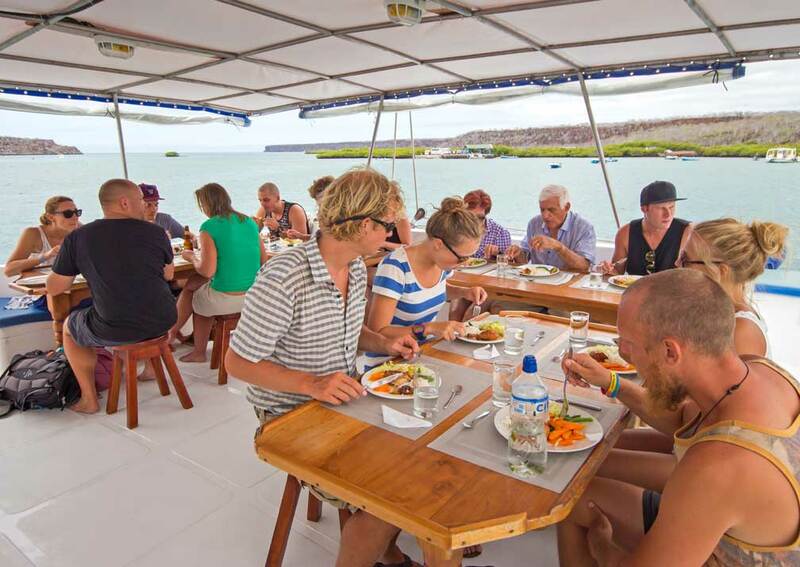 Alya offers 4,5 and 8 day cruises in the Galapagos Islands, and is a spacious and elegant catamaran that makes a comfortable home. 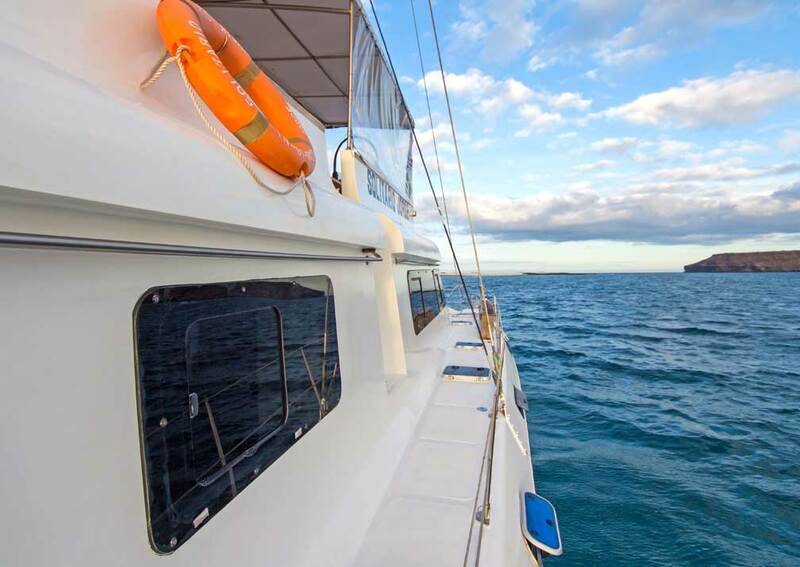 Unlike most other vessels she provides opportunities for diving at selected sites as part of the standard itinerary, as well as offering specialist dive itineraries. 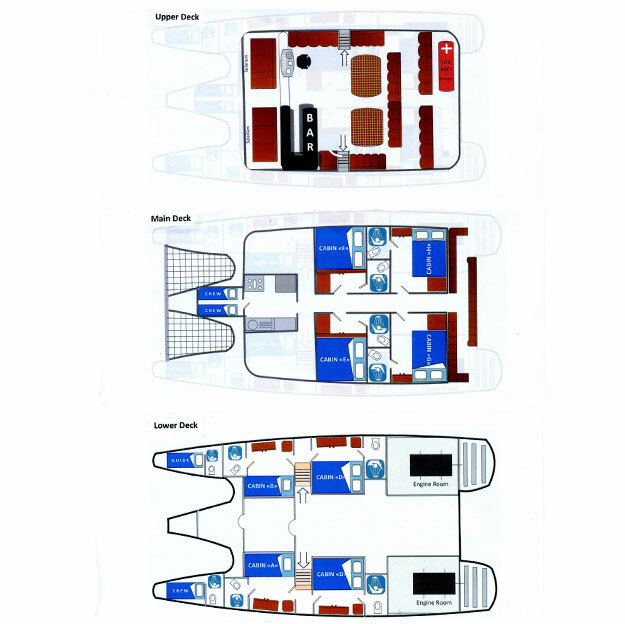 The 8 passenger cabins are arranged on the main and lower decks. 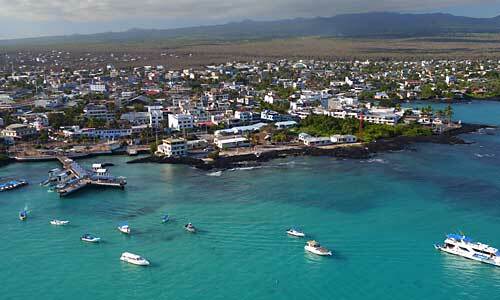 The accommodation is compact and great attention has been paid to the clever use of space. There are wardrobes and open shelves for storage and each has an efficient en-suite shower room. There are double rooms and twin rooms with bunk beds, and all cabins have either a window or a skylight to let in natural light. Social areas include a lounge with a TV, DVD player, music system and collection of reference books. 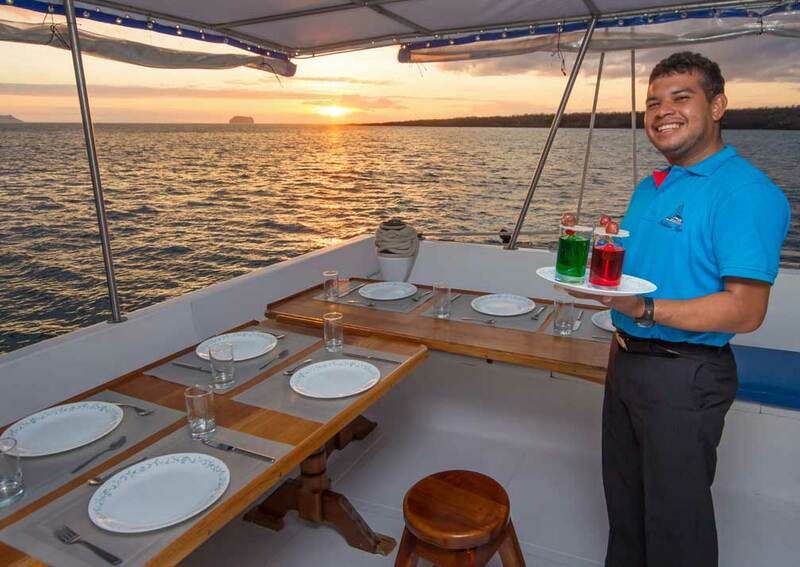 Most meals are served on the upper deck where an awning provides shade from the sun. 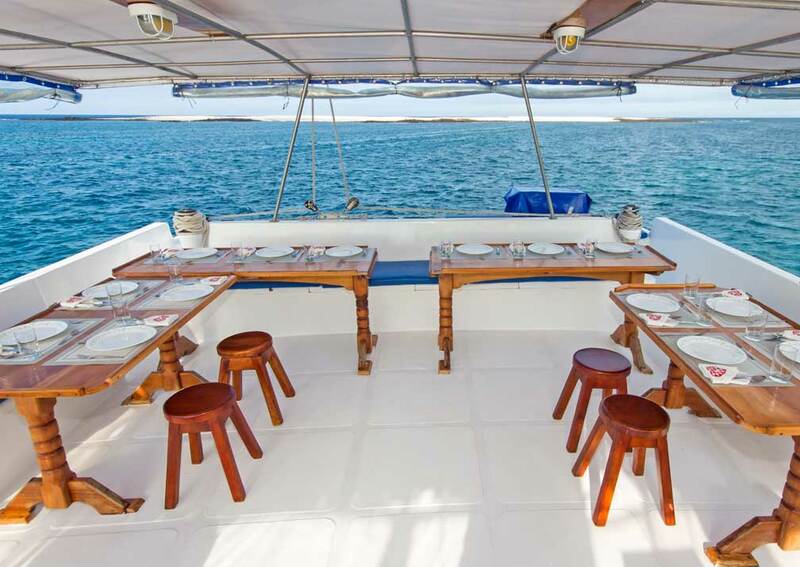 There are also open deck areas including the mesh bow, for relaxing. 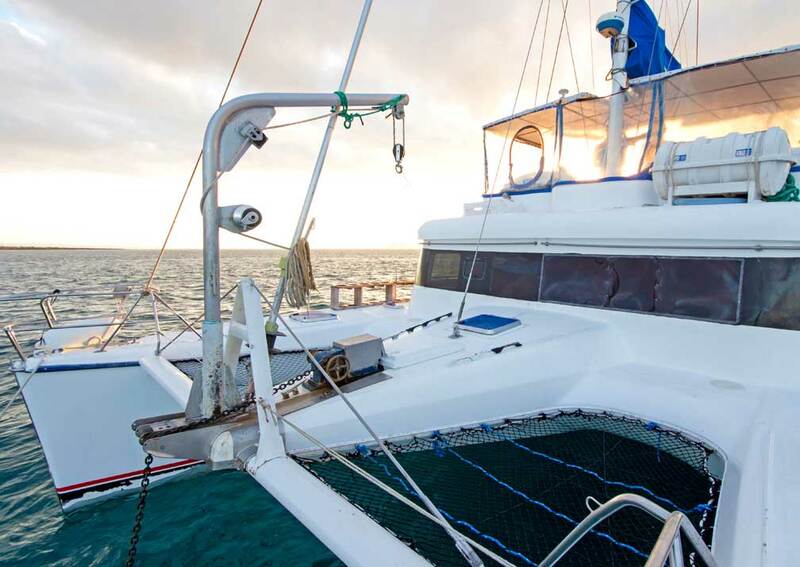 There is snorkelling equipment on board, free for passengers to use during the cruise. 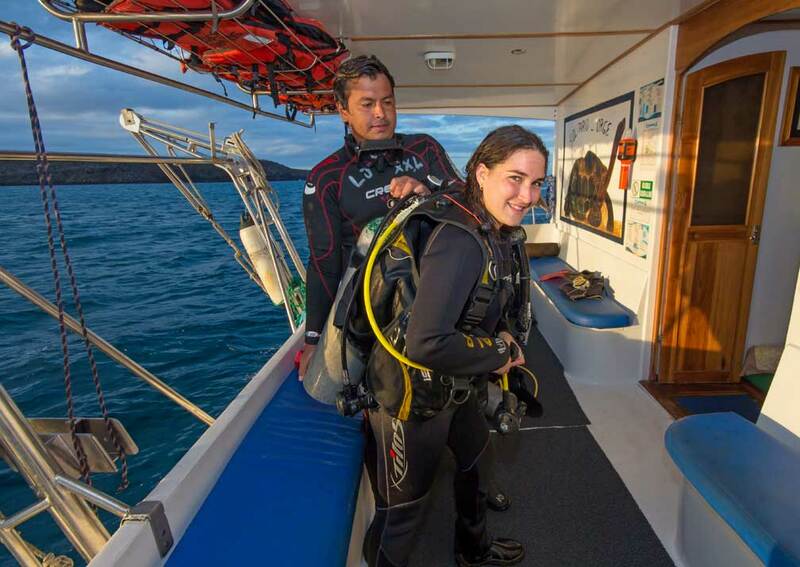 Diving is offered subject to a minimum number of 4 dives per cruise, which can be 2 passengers making at least 2 dives each or 1 passenger making 4 dives, and needs to booked and paid for in advance. 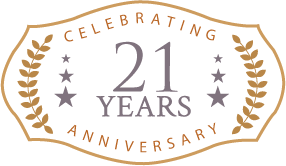 This charge includes the use of diving equipment. 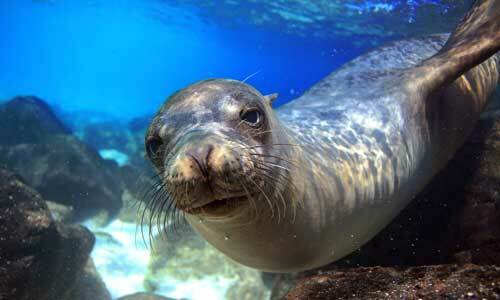 Diving is offered subject to weather conditions and for experienced divers (minimum 10 open water dives) only. There is an additional charge for diving. 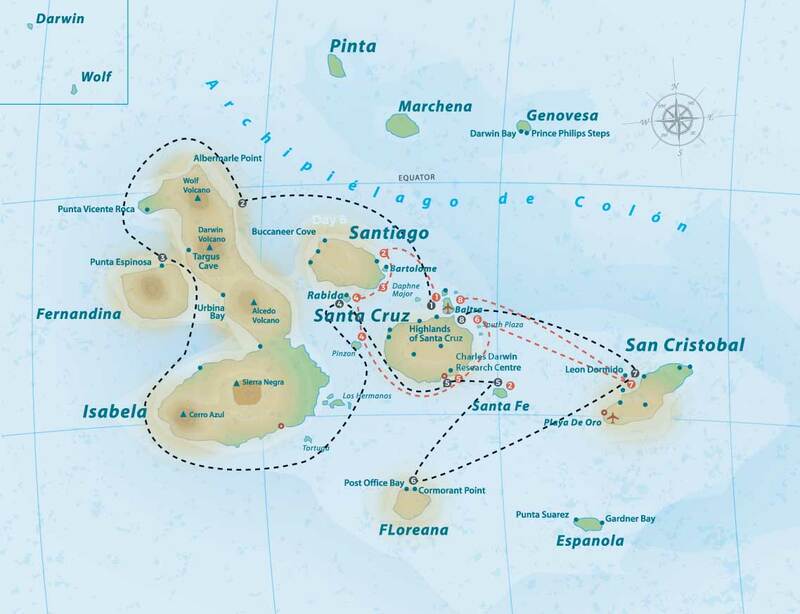 Each 8-day itinerary is made up of a 4-day and a 5-day cruise. 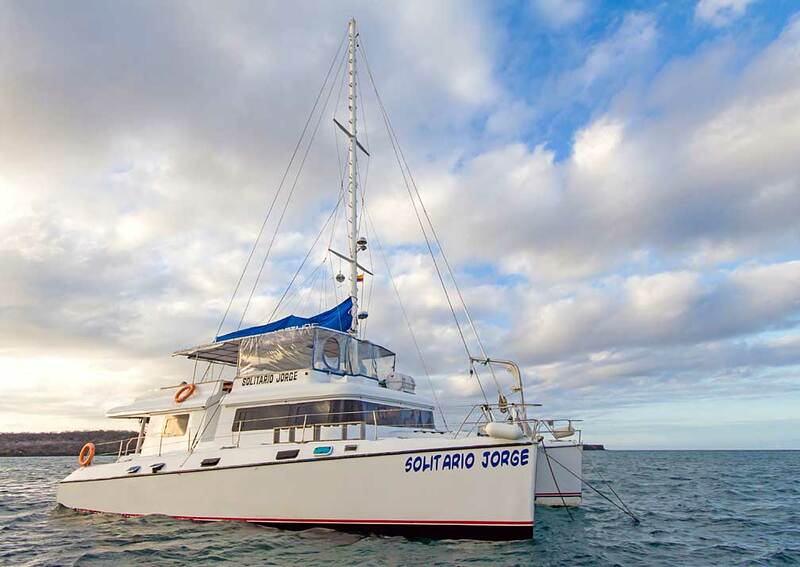 Lonesome George also offers specialist liveaboard diving cruises. 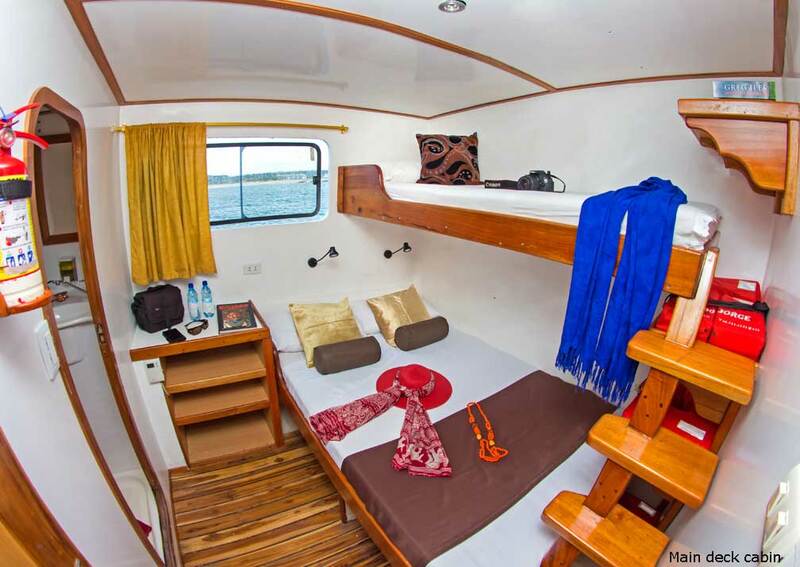 There are 8 cabins arranged over 2 decks. 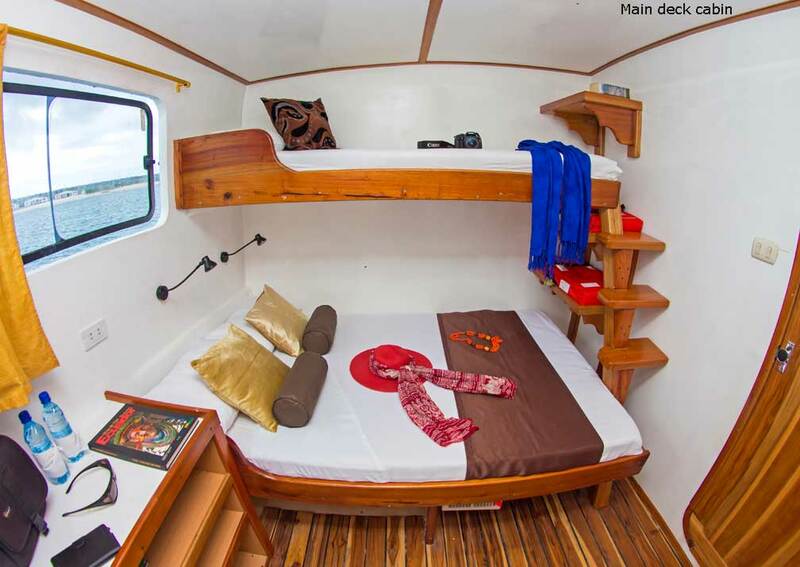 On the lower deck there are 2 double cabins and 2 twin cabins with bunk beds. 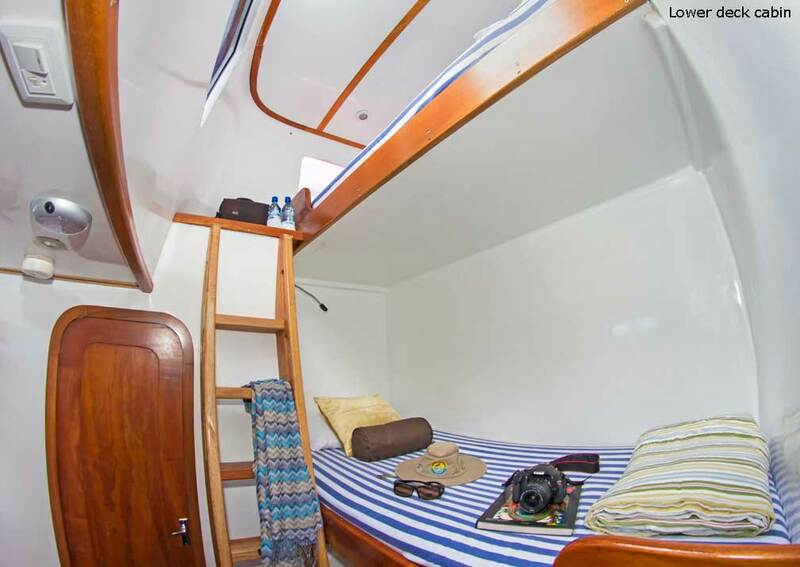 2 of the Lower deck cabins have windows, and the 2 at the bow have skylights. 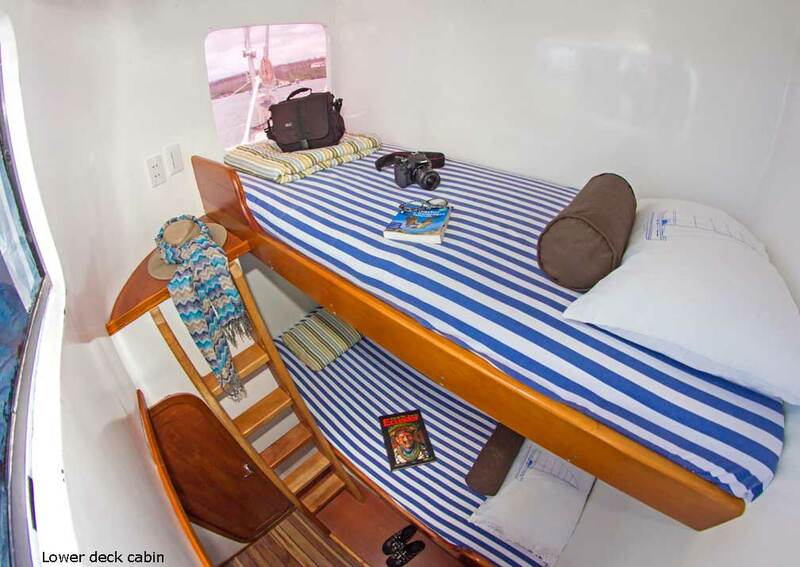 On the main deck there are 2 triple cabins each with a double bed and a bunk bed, and 2 double cabins. Main deck cabins have windows. 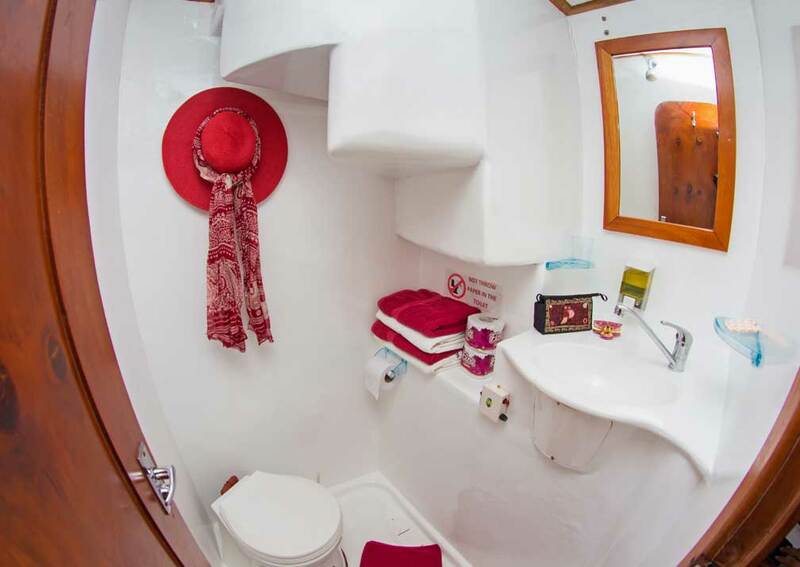 All cabins have an en-suite bathroom with hot and cold water, a wardrobe and wooden racks for storage, and power points. 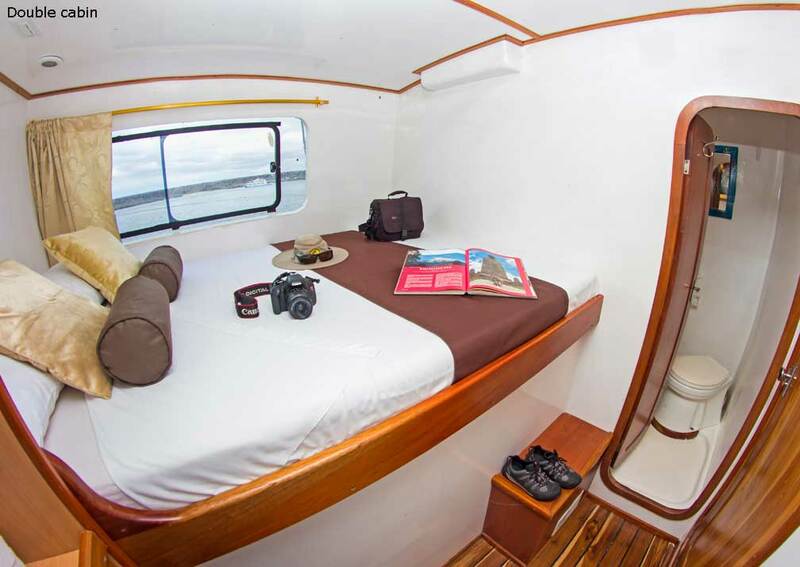 Accommodation: 8 cabins in total made up of 2 triples, 4 twins and 2 twins. 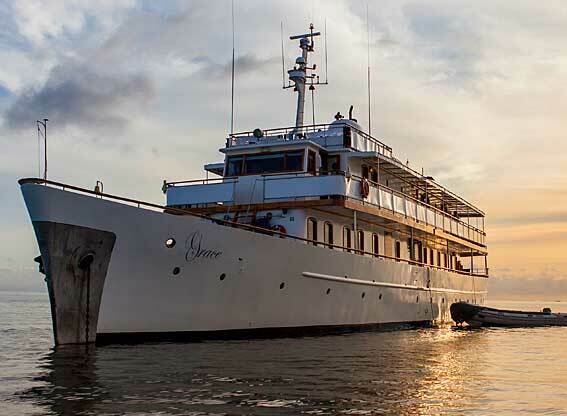 There are 4 cabins each on the lower and main decks. All are en-suite. 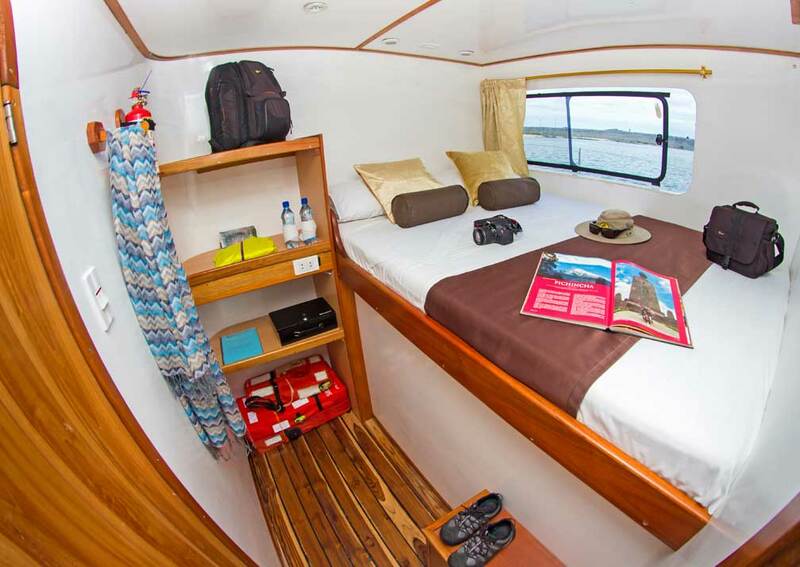 On Board: There is a lounge, bar and library with TV, DVD player and music system. 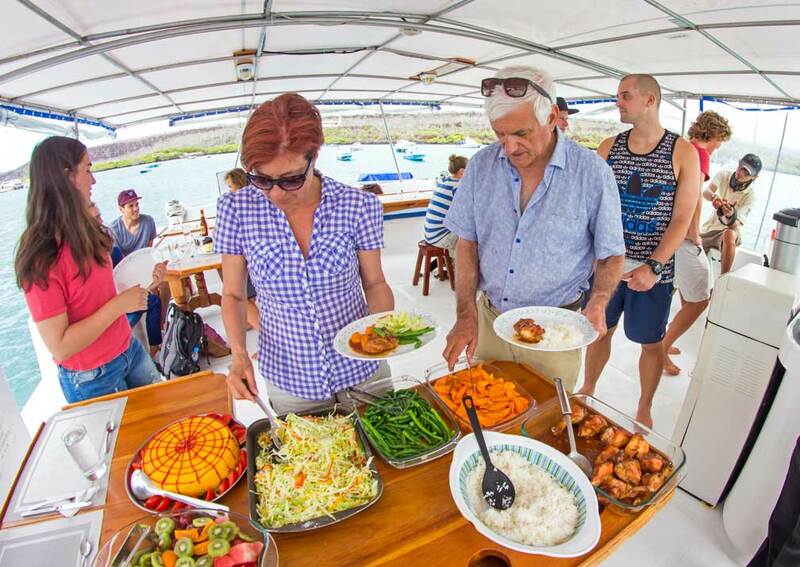 The deck has open areas and covered sections, and ample space for outdoor dining. 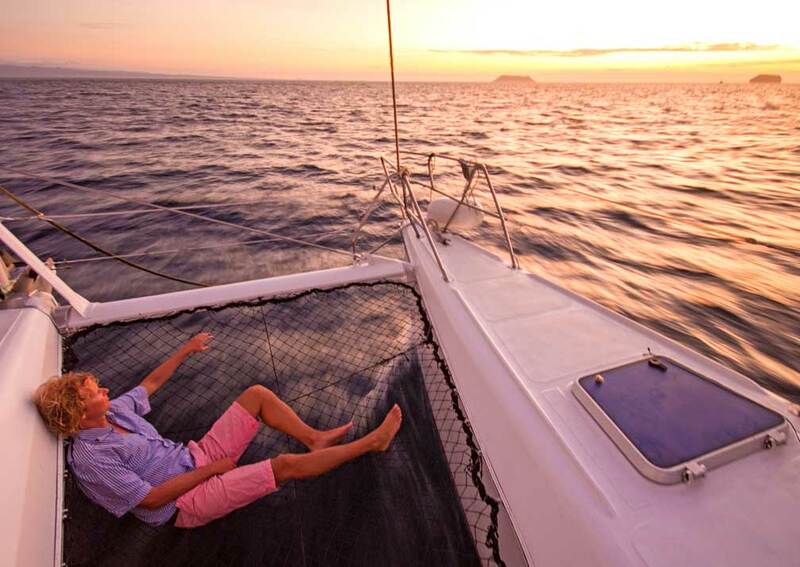 There is a net strung between the two hulls at the bow where you can lay and watch the scenery. 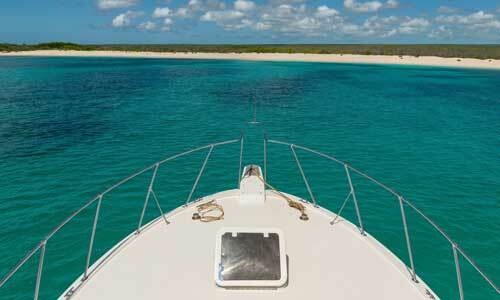 There is a platform for embarking and disembarking, and this is used on diving cruises. 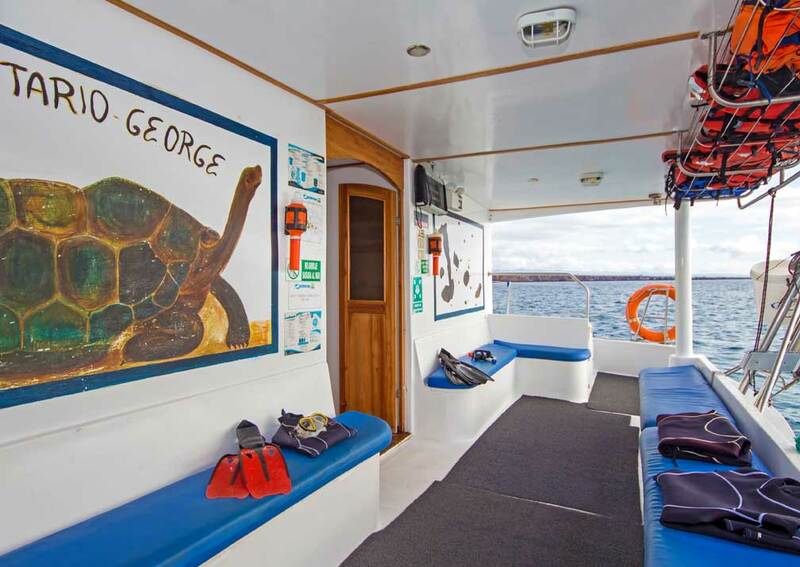 Lonesome George carries diving equipment and snorkelling equipment, the latter available at extra charge. 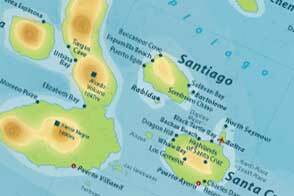 Crew: 6 including a naturalist guide plus a divemaster (or 2 divemasters for 9 or more divers).